Now's the time to put your home selling or renting plan into action! January is the best month to get organized and prepare for selling or renting your house during the upcoming spring and summer PCS months. You might feel like you’ve got a grip on what’s ahead, but there are always a few details that require more time or money than anticipated. Consult MilitaryByOwner’s guide for home selling to ensure every detail is checked before the house’s advertisement goes live. And, it will keep you on track while staving off extra stress. The following is a short outline of important steps to prepare for now, before the spring market takes off. Although the list is brief, it will likely take some time to complete properly. Decide whether to hire a real estate agent or conduct a For Sale By Owner. Gather figures to estimate an accurate sale or rental price. Conclude if landlord life is for you. Begin to research property managers if necessary. Determine your tax situation post home sale. 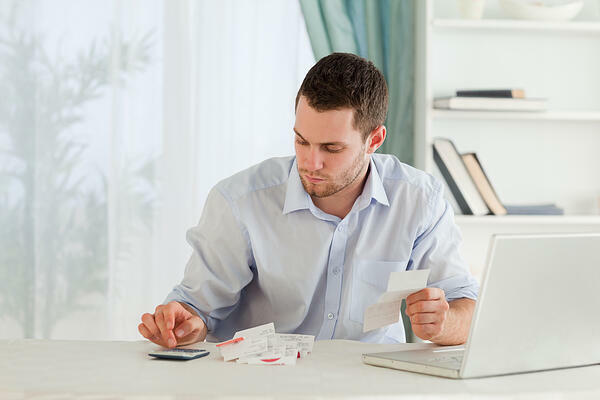 If you’re not tax exempt, you’ll have to add that payment into your future financial plan. Talk to insurance providers about the differences between homeowners and rental property insurance. Consider how you will secure your property with tenant background and credit checks. Decide which version of a lease you’ll use if you're renting and any potential clauses that could be added in by you or the tenant. Prepare the rental home for tenants by compiling necessary information for living there, such as home warranty information. 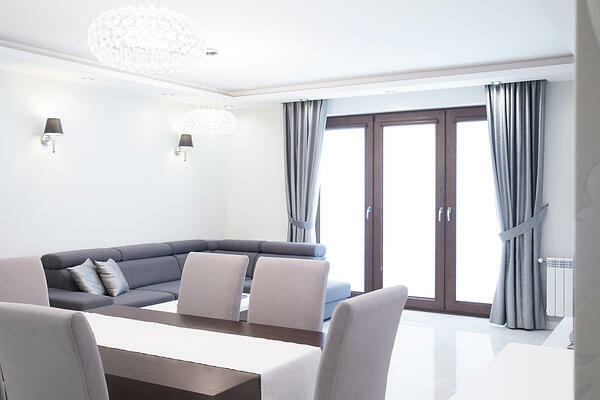 List interior projects to be fulfilled-- from safety concerns to an intense overall cleaning project. Seriously consider the benefits of professionally staging your home. 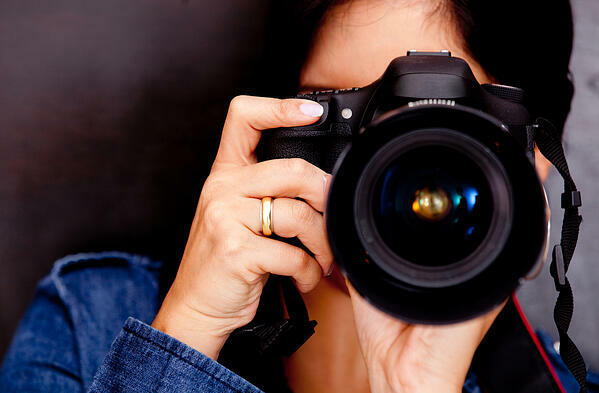 Prepare your home to photograph picture perfect. Professional photography might be a must have in your market. Create an interesting home listing that include important features of not just the house, but its surrounding amenities. Consult with real estate professionals about the best options for marketing your home. 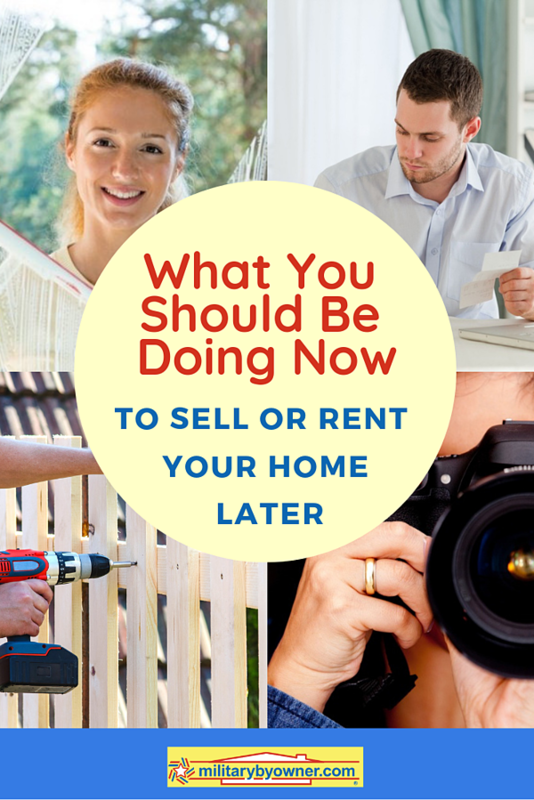 Now that you’ve got a snippet of what’s ahead for readying your home, read on for the details and start making an individualized plan for a sale or to prepare for renters. Research: For Sale by Owner or Real Estate Agent? There’s a thoughtful process involved to determine if a FSBO (For Sale by Owner) is the right choice or if the help of a real estate agent could earn your best asking price. Truthfully, the time you have available to commit to the sale will likely determine your outcome. Wanting to save dollars from the agent's commission is a common thought; however, you take on the responsibility of marketing your home, scheduling appointments, being available for those appointments, scheduling the necessary inspections, and following through to closing. You will truly earn the commission that you're saving! Remember, professional real estate agents work every day to maintain their skills to serve their clients, which includes understanding the nitty gritty of your local market and guiding you step by step through the process. Admit it. You’ve already searched real estate sites for an estimation of what your home’s worth or how much rental income you could earn a month. These estimates are great for giving a wide range of figures. The problem with Automated Valuation Models (AVMs) is that they have several shortcomings when it comes to predicting the price for your home, on your street, in your city. They are designed to mitigate specific variables that are important for accurate pricing. Think about it—those big sites serve millions of people. It’s practically impossible to guarantee the most accurate pricing for just one house in America. You’re going to need help to dig deeper and get the most accurate price. Military homeowners planning to rent their property have the benefit of a BAH figure to guide their price point per month, but additional information is necessary. For example, an off-season PCS might require the owner to consider a lower rent to avoid an extended vacancy. Many real estate professionals, from agents to home appraisers, have insider knowledge that identify specifics to help adjust your home price. Whether you're considering a FSBO or a rental property, make use of this knowledge to help determine the best pricing. It’s normal to make big plans for the proceeds from your home sale. Whether the money goes toward college education or the purchase of your next home, the government is going to want its share. Taxes on the capital gain of the sale are a big deal if you're unprepared. Fortunately, there are exemptions from paying taxes and even more specific exemptions for military members, but you’ll have to brush up on tax laws or consult with an accountant to know if your home sale will be worth the money involved. If the profits don’t equal more than what you’d pay in taxes, it might be time to reconsider a sale further in the future. There’s much more to the landlord lifestyle than simply handing over the keys and waiting for the money to arrive each month. Consider laws before deciding if renting your home is the best option. Homeowners insurance changes drastically after converting a primary residence into a rental home. Not only does the coverage change significantly, the premiums do as well. It's not uncommon for homeowners to pay 20% more to have adequate coverage for the property and their renters. Trust is a huge component in becoming a landlord, not only in your renters, but trust in your ability to manage the business itself. 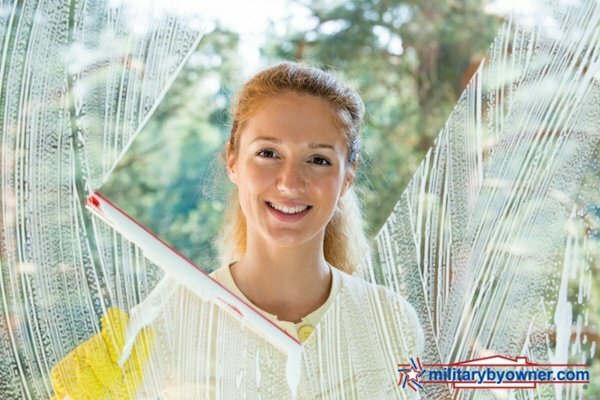 Military members who plan to live long distance should determine if they are comfortable handling issues from afar or if they’d feel better entrusting the work to a property manager. Tools such as background and credit checks are helpful in choosing good renters, but personal recommendations serve as an extra layer of security when entrusting your home to strangers. Each state has its own basic version of a rental lease. They could suit your needs, but other options exist and sometimes require the review of a lawyer, especially if detailed clauses regarding military service and early lease termination are included. Other sticking points include pets and extended guests. If you’d like to maintain your property to high standards, it's wise to supply your renters with maintenance expectations, whether detailed in the lease or managed through a home warranty service. Renters are more apt to take care of the house if given the right resources. It’s pretty straightforward. Not many buyers or renters want a dirty, rundown, and outdated house. If they do, it’s because they want bargain basement cheap prices. Depending on your situation, of course, it’s likely you’ll need max return on your property. In fact, “move-in ready” rules the day, and buyers and renters will walk if there’s too much to do on their part. Gather up your cleaning supplies; it's going to take some elbow grease to get the house into shape! It’s best to follow a checklist to make sure each corner of the house has been spruced up. There will be a lot to conquer, so give yourself plenty of time. Safety should guide your plan’s timeline. You’ll need to correct problems that are harmful, like broken banisters and walkways. The exterior of the house is a dead giveaway to the condition inside. Some shoppers won’t even stop the car if the outside looks dicey. Maintenance on the yard, the siding and/or brick, trees, and major shrubbery are great places to start for the most visual impact. Later, smaller projects like porch planters can be tackled. It’s time to market the house--you're aiming for picture perfect! The best quality pictures will be needed for both online and traditional marketing pieces. In the same way professional stagers bring better offers, professional real estate photographers can up the level of interest of your home. In fact, your local market might dictate that professional photographs are required to get the interest desired. Lighting, capturing best angles, and orientation of the photos are just the beginning of Real Estate Photos 101. Although photos are the number one important selling feature of a home listing, a creative yet straightforward listing and property description seal the deal for buyers and renters to make the trip to see the property for themselves. Of course, highlight the best features of the home, such as a gourmet kitchen or hardwood floors throughout, but don’t forget to add the amenities nearby that add to the potential buyer or renter’s lifestyle. In cities that surround military bases, commute times are very important. If your home benefits from a short or easy commute, it should be at the top of your list to share. The same holds true for your specific distance from top rated schools and shopping options that make life a little easier. Access to nature trails and parks are also widely searched for. Whether you're selling on your own or with working with an agent, consultations for learning the best marketing techniques for your property are never a bad idea. They’ll share with you plenty of options such as the optimal times for holding an open house or if it’s better to not offer an open house, but to make appointments for showings. Their expertise should also be tapped for learning the how-to plan for a marketing budget. Not every home gets the exposure it needs listed on a free website. In fact, that's why we of course recommend creating a home listing on MilitaryByOwner--we understand the target market near military installations. There’s much to be done before the warm months put military families on the road again to find their next new home. Preparation to sell or rent your room requires forethought and active participation to get the desired outcome on the timeline you prefer. As always, MilitaryByOwner stands ready to offer our customers the expert options they need to be successful in any transition. We’ve prepared free ebooks for home buying, selling, renting, in addition to base location specific ebooks.